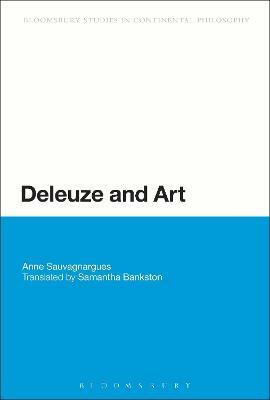 In Deleuze and Art Anne Sauvagnargues, one of the world's most renowned Deleuze scholars, offers a unique insight into the constitutive role played by art in the formation of Deleuze's thought. By reproducing Deleuze's social and intellectual references, Sauvagnargues is able to construct a precise map of the totality of Deleuze's work, pinpointing where key Deleuzian concepts first emerge and eventually disappear. This innovative methodology, which Sauvagnargues calls "periodization", provides a systematic historiography of Deleuze's philosophy that remains faithful to his affirmation of the principle of exteriority. By analyzing the external relations between Deleuze's self-proclaimed three philosophical periods, Sauvagnargues gives the reader an inside look into the conceptual and artistic landscape that surrounded Deleuze and the creation of his philosophy. 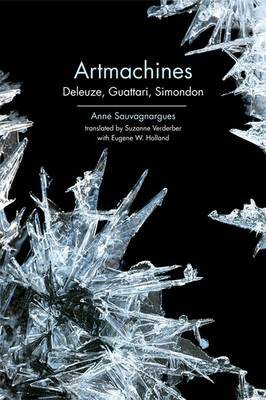 With extreme clarity and precision, Sauvagnargues provides an important glimpse into Deleuze's philosophy by reconstructing the social and intellectual contexts that contributed to the trajectory of his thought. This book is the product of insightful and careful research, which has not been made available to English readers of Deleuze before now. Buy Deleuze and Art by Anne Sauvagnargues from Australia's Online Independent Bookstore, Boomerang Books. Anne Sauvagnargues is Professor of Philosophy at the University of Paris, Nanterre, France, and specializes in the philosophy of Gilles Deleuze. She co-directs the collection "Lignes d'art" with Fabienne Brugere for Presses Universitaires de France, and in 2008 she published a book on Deleuze's philosophy entitled Transcendental Empiricism. Samantha Bankston has published on 19th and 20th century European philosophy, and is the author of Deleuze and Becoming (Bloomsbury, 2017) and the forthcoming book, Deleuze and Zizek.